As many of you know, at the beginning of this month we announced our new campus in New Haven, Connecticut. But what you didn’t know is that we have hired our campus Director, Nadine Krause. 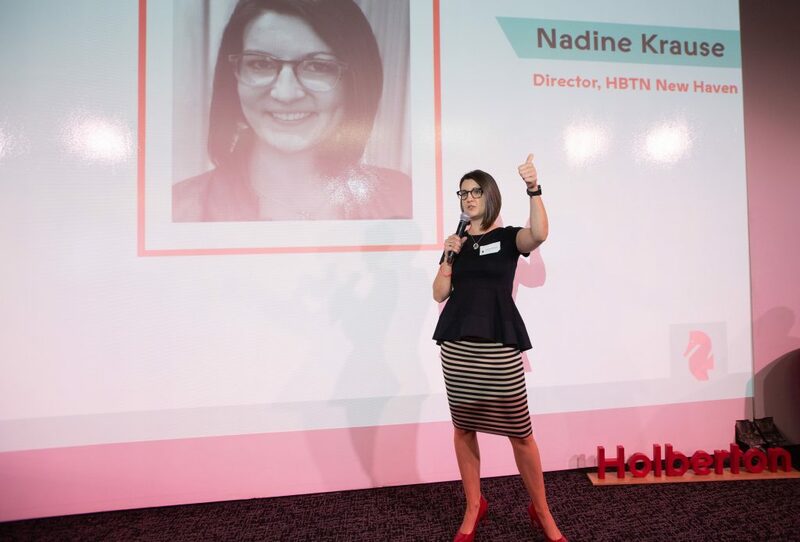 Nadine held human resources roles gaining extensive experience in talent and leadership development, team and diversity and inclusion. She embraces the mission of Holberton School, providing high-quality education for the many, where the often-times forgotten soft-skills, are in the center of our education. Nadine will assume responsibility for all of the operations and the success of the New Haven campus. She will also focus on building a strong community and corporate partnerships to ensure that our students have access to meaningful internship opportunities, mentors and industry experts. In return, the local employers will have access to the diverse, motivated and well-rounded skill-set of our graduates. So, join me in welcoming Nadine to the Holberton family!